8pm — Post-show Reception for Director’s Club begins. This reception is open to Patron-level members and up. Kindly RSVP here. 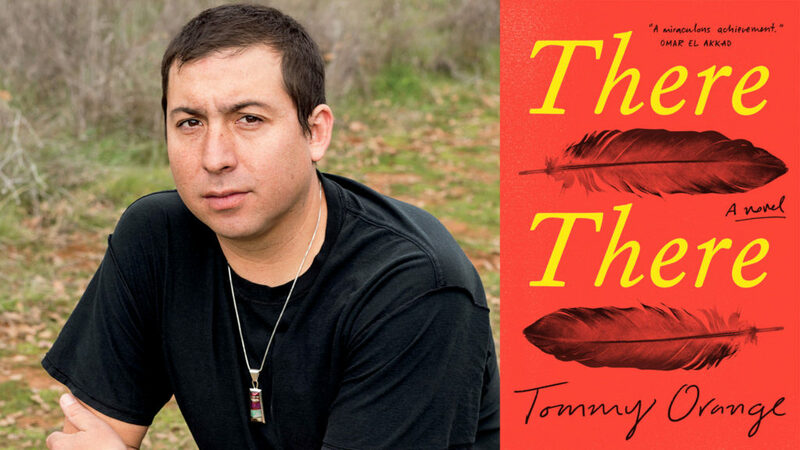 Extraordinary breakout Native American author Tommy Orange’s There There is the story of twelve unforgettable characters, Urban Indians living in Oakland, California, who converge and collide on one fateful day. There There is a wondrous and shattering portrait of an America few of us have ever seen. It’s fierce, funny, suspenseful, thoroughly modern, and impossible to put down. Here is a voice we have never heard—a voice full of poetry and rage, exploding onto the page with urgency and force. Tommy Orange has written a stunning novel that grapples with a complex and painful history, with an inheritance of beauty and profound spirituality, and with a plague of addiction, abuse, and suicide. This book is destined to be a classic. Ticket Package includes reserved seat and a book voucher (There There, $16 paperback). Vouchers can be redeemed on the event night for signed copies.